Mi Rancho® Announces Passing of Patriarch Robert Berber Jr.
SAN LEANDRO, Calif. (January 14, 2016) – Mi Rancho®, a Bay Area food innovator in the production and global distribution of tortillas and Mexican foods, today announced the passing of Robert Berber Jr. after losing his battle with cancer. Robert Berber Jr. leaves a legacy as a successful businessman and philanthropist as well as a family company, Mi Rancho, which has become a national brand. Mi Rancho is now managed by Robert’s son, Manuel Berber, who has served as president of the company since 1992. Robert Berber Jr. is responsible for building Mi Rancho into the company it is today, manufacturing more than 1.3 billion tortillas each year. 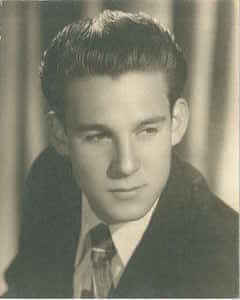 Born and raised in Los Angeles, Robert Berber Jr. moved to the Bay Area where in 1954 he and his father, Robert Berber Sr. purchased an Oakland Mexican grocery and panaderia noted for making delicious corn and flour tortillas and breads. 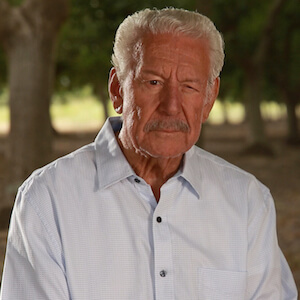 Robert assumed sole ownership of the store in 1974 and through hard work and vision built Mi Rancho into a national tortilla brand that is respected for its quality, consistency and purity of ingredients. Robert Berber Jr. also was an active participant in the Bay Area community. He served on the Board of Directors for City Center Federal Savings, was active in the Orinda Rotary Club, and delivered food to those in need through Meals on Wheels. He also established a scholarship for underserved families at his alma mater, Cathedral High School in Los Angeles. Mi Rancho® is an innovator in the specialty foods market specializing in tortillas and Mexican food products. Founded as a family-run Mexican bakery and grocery store in Oakland in 1939, Mi Rancho started to expand in the 1950s, providing tortillas to local restaurants. Today the company is now in its third generation and is still family owned and operated. Mi Rancho produces 4.5 million tortillas each day or 1.3 billion tortillas each year, serving various segments including food service, retail, industrial, and international. Despite Mi Rancho’s growth, the company is still operated with a passion for excellence and a commitment to produce the best quality tortillas made from local California ingredients. For more information, visit Mi Rancho on the web at www.mirancho.com.